Anubhooti Khanna, all of 21, is addicted to nail art! 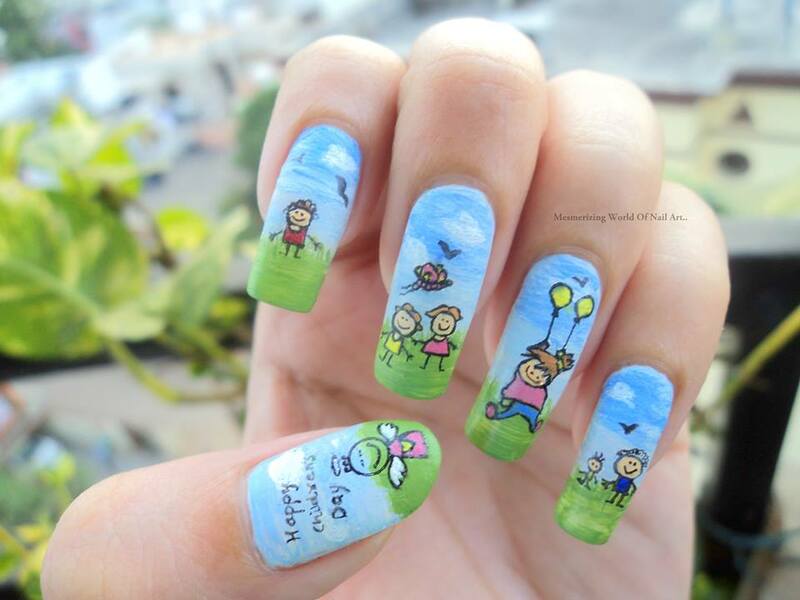 Check out her cute nail art designs inspired by nature as well as social causes. Anubhooti Khanna, a Raipur based nail artist has been painting nails for about 4 years now. Trained in Bharatanatayam, everyone thought she would make a career out of it. But god had some other plans for her. Read on to know Anubhooti’s story and her love for nail art. 1. Tell us a little about yourself – when and how did you get into nail art designing? 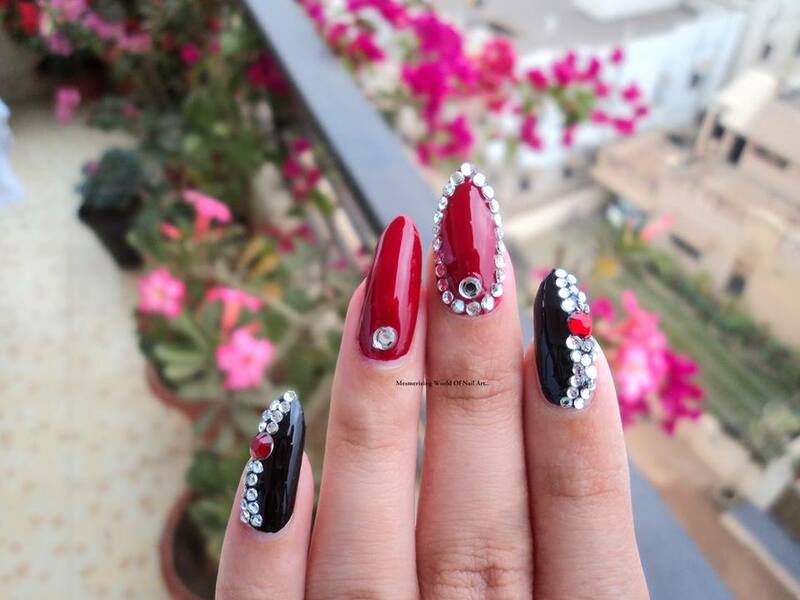 Hi, I am Anubhooti Khanna, 21 years old based in Raipur, India.I never in my dreams thought I would become a nail artist. Infact I learned Bharatanatyam for 8 years and everybody thought I would make my career in it. When I was in school I used to love my mom’s beautiful long nails painted with gorgeous and tempting colors and I wanted to do the same but we were not allowed to keep long or painted nails in school. So, during long vacations I used to grow my nails and simply paint them. I really don’t remember how it all started but I loved trying out innovative patterns over simple nail polish brush. One day at a local cosmetic store, I discovered a nail art pen and it was then that I came to know about the whole world of nail art. As I was very much interested in drawing, painting and many other forms of art, I took nail art as a new art to try my hands on. So, started painting some vague patterns on my nails just for fun! Amazingly, my work was appreciated by my friends and family. I did some research and what I found out was truly amazing. Apparently, nail art had already gained popularity through the internet but it wasn’t so popular in India. I continued with my research and the more I learnt about it the more I got addicted to it. I began to take this art more seriously. Gradually my work improved. Meanwhile I finished my school and entered college (in 2011). In 2012 I started my blog, which worked as a platform to share my talent with the world out there. Now, I have been doing nail art for approximately 4 years and I still have a lot to do and achieve. 2. 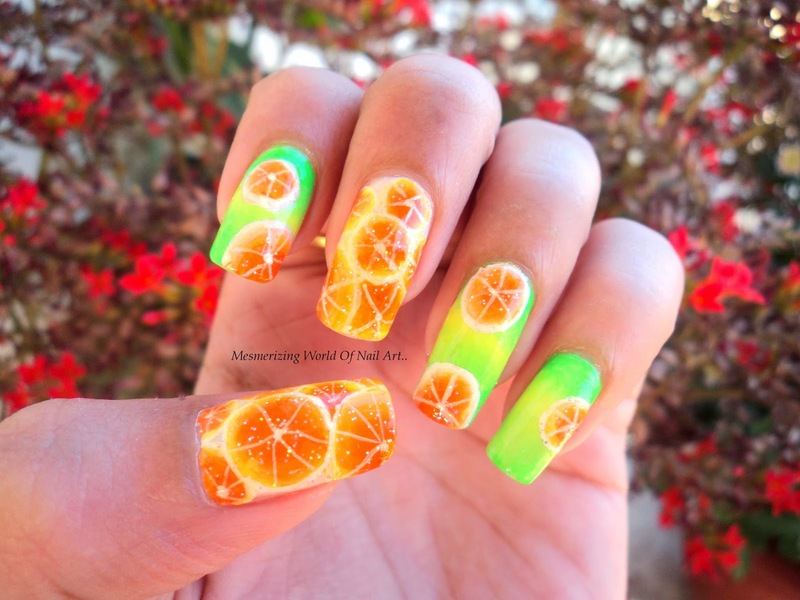 What is the theme and inspiration behind your nail art designs? I can find inspiration from almost anything and everything. God’s creation inspires me a lot. I try to paint a story line of upcoming festivals and never forget to highlight current topics and social causes. It is my way of spreading awareness and expressing myself through my nail art. 3. How much time does it take to complete a nail art design on both the hands? It totally depends on the intricacy of the design. Simple designs take about half an hour while quite a lot of complicated patterns that are tricky, require almost an hour. More intricate designs and fine patterns need 2-4 hours as they require a lot more concentration and refined work. 4. What are your top favorite nail art designs/technique? Hand-painting is my favorite technique as it gives me the freedom to paint my mind using nails as a canvas. When it comes to the designs, nature inspires me a lot, so, bright floral designs are my all time favorite. They are very soothing, especially for eyes and souls. Textures and embellishments play a big role in the world of nail art. I have also seen a lot of negative space, geometric patterned, lace and sheer/tinted nail designs happening these days! 5. Please share some tips with our readers for DIY nail art designing. DIY nail art can be totally awesome! It only takes a bit of planning and the right tools.You can get some good nail art pens and other nail art tools from the market. Invest in some good base coat and top coat, watch Youtube nail art tutorials, take your time and practice. If you don’t want to invest money on tools, use the stuff you already have at home like scotch tapes, toothpick etc. You can also make your own chevron nail stickers using tape and some zigzag scissors. 6. What advice would you like to give someone who is just beginning with nail art? Start with simple designs and keep practicing. Gradually move to complicated ones. Don’t get discouraged when you fail. I would also suggest you use base and top coat and the most important step is – clean up! 7. What is the best way to reach you? The best way to reach me is via website or via email. You can also find me on Facebook and follow me on Twitter as well as Instagram. Click on the image to view them larger.